A town of Val Sarmento, in the province of Potenza, situated between the lush vegetation at the centre of the Pollino National Park. The area was inhabited since the Iron Ages, evidenced by the remains of a Lucano settlement of the VIII -VII century B.C. , which today are on exhibition at the National Archaeological Museum of Siris in Policoro. 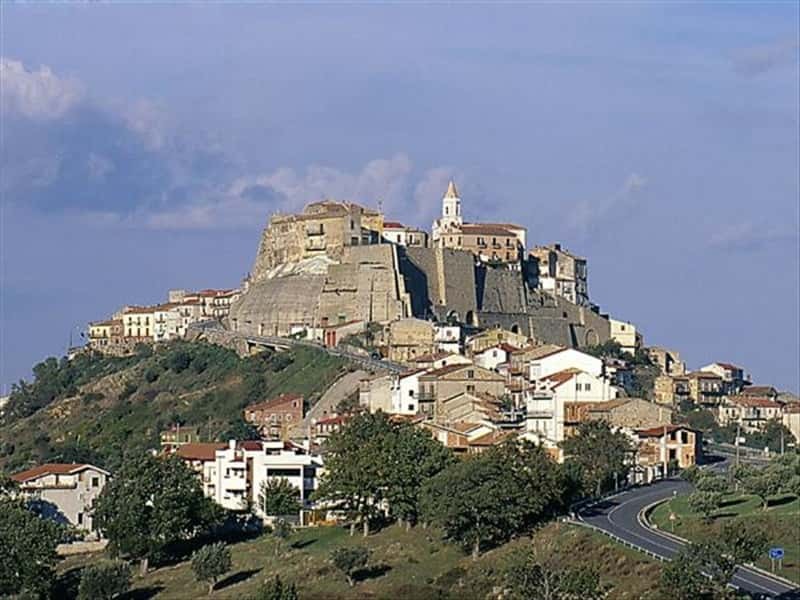 In the Middle Ages the village had the name of Noia, as it appears in a document dated 1133, a period in which the fief belonged to the County of Chiaromonte, under the dominion of the Sanseverino family. In 1404 it became an independent fief with the name State of Noia and proclaimed a special and favorable legal status that lasted until 1553, when the village was sold to the Pignatelli family. Under the rule of these Lords, the people were imposed high taxes but, as dictated by local tradition, they also submitted the feudal law " jus de seigneur" (the right to spend the first wedding night with the wives of their serves). - the remains of the Monastery of Santa Maria della Saectara (X-XI century), famous for being, in the Middle Ages, a shelter for Albanian refugees . This town web page has been visited 36,722 times.